Excellent finish, 15 hours , 6 books and working on one, it was an awesome trip! Thank you! You guys are the best! Thank you for the amazing weekend. I am already looking forward to July!! This was a lot of fun. I hope I did my stopwatch pictures right. If not could someone tell me what I did wrong for the next 24 in 48. Thank you. This was so much fun. I was a newby so I didn’t know how to link up to everything. I don’t have a Twitter account only Facebook so feel like I missed out a bit on the communication. But still had fun. Zomgosh I didn’t know we could comment here too, I am such a dork. Thanks bunches! I can’t wait for July! But I need to train my eyes up for it! I got through a little over 10 hours. 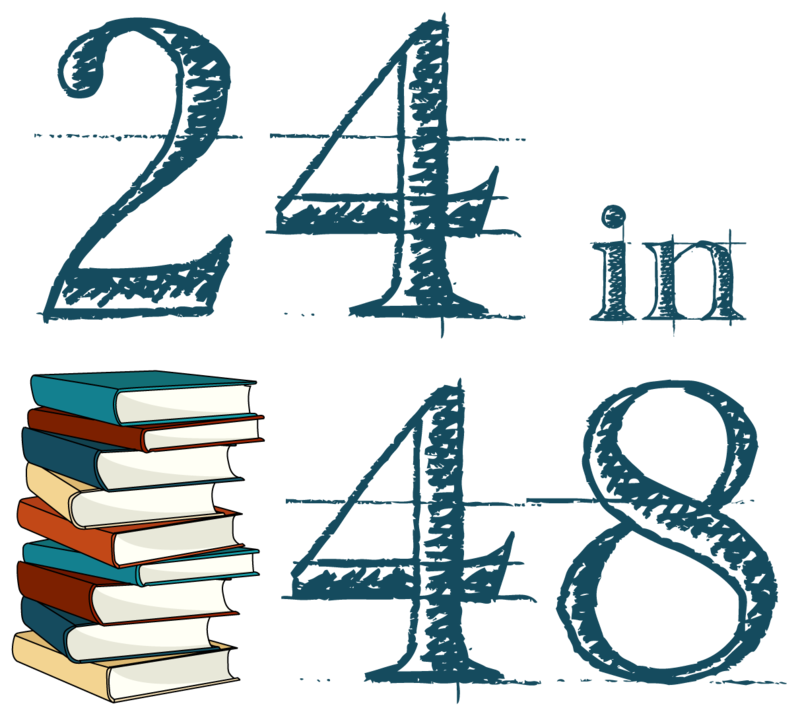 This was my second time doing the readathon and I managed my time much better – prepped well beforehand, and did all the challenges for the first time! I got in my 24 hours before midnight. 3 books completed and 2 halves, for about 800 pages, + 5 chapters of an audiobook. You guys are the best. Just wondering, what are the correct dates for the next readathon? Here it says July 21-22, but on Instagram it says 27-28. Just want to put it in my calendar so I don’t forget. Instagram’s dates said January 27-28 because we hadn’t changed them yet. But July 21-22 are the correct dates. I really enjoyed the readathon, but I was unsure what I was supposed to be doing to show I actually read during the weekend. I didn’t really feel like I knew what was going on with the surveys and updates; was I required to fill out the surveys during readathon? It was great but super confusing here and there, but I’ a newbie. Actually, I was a little confused, too, about how to show evidence of time read. I knew 24 hours wouldn’t happen for me on my first try but had My goal been 24, I’m not sure what was needed as proof… beyond the screenshots from my stopwatch app that I took in case I hit a wrong button and clearednitnat some point.